Dentist in Sapulpa in Can Help You Restore Patients Smiles! Are you missing vital parts of your smile? 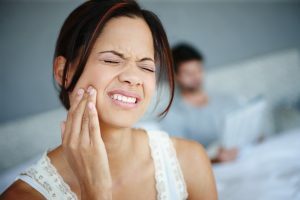 Have you been considering getting some restorative dental work done, but you’re confused on what may be right for you? Your dentist understands that the dental world can be a bit tricky to navigate to the typical patient. That’s why your dentist in Sapulpa is here to help you understand which restorative option might be the best for your smile and lifestyle. A crown is a great option for those who are dealing with weakened or damaged teeth that need a restoration. Crowns and bridges will rebuild the tooth back to its original strength and appearance. Nowadays, patients can receive same-day dentistry with CEREC in Sapulpa. Whether you are dealing with a fractured, severely decaying or an infected tooth that needs root canal treatment, dental crowns are a great cosmetic option to restore the tooth in a timely manner. Restoring a tooth that has undergone root canal therapy. Rebuilding the structure of a badly injured or fractured tooth. Giving an unsightly tooth a beautiful makeover. Restoring a large area of decay that’s too severe for a filling. There are several types of dentures available, including full and partial sets. Complete (full) dentures are ideal for patients that have lost many their teeth. Partial sets are for patients that need to fill gaps or spacing within their smile. Our dentures are designed to be comfortable, beautiful, and fully functional. We can restore your ability to eat and speak clearly. Our dentures are crafted from high-quality dental materials to perfectly match your natural teeth. Even if you get a set of complete dentures, they can prove to be very natural looking! If you are looking for a long-term solution to your tooth loss, you’ve probably heard of dental implants. A single implant can be placed into the jawbone to restore a missing tooth or several implants can be placed throughout the jawbone to hold a bridge or dentures firmly into place without worrying about slippage. If you’re considering getting dental work, contact your restorative dentist in Sapulpa. Your dentist will have the dental procedures you need to complete your smile once again. Here at Complete Cosmetic Care Dentistry, we continually work to expand our knowledge in dentistry and stay up to date on the newest dental technology and practices. This way, we can provide the very best dental services for patients that need to restore their smiles for a better quality of life. If you would like to meet with either of your restorative dentists in Sapulpa, Dr. Mohanna or Dr. Georgy, give our office a call by dialing (918) 216-1000. Comments Off on Dentist in Sapulpa in Can Help You Restore Patients Smiles!